Availability: This product is discontinued and no longer available for purchase. For alternatives browse our Accessories department. 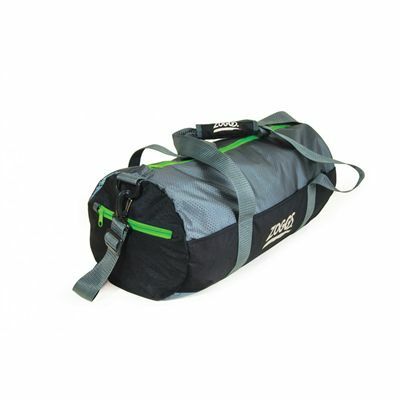 The Zoggs duffle bag is a great option for a weekend away and lets you keep your swimming kit handy in one place. It is suitable for the pool, gym and vacations and has a one main compartment for your swim gear, as well as a side zipped pocket for smaller items and zipped internal pockets for valuables. The bag is manufactured from heavy duty mesh for increased durability and ensures comfortable transportation thanks to a detachable adjustable shoulder strap. for submitting product review about Zoggs Duffle Bag.